Create your dream farm with Stablemates Red Stable Set. 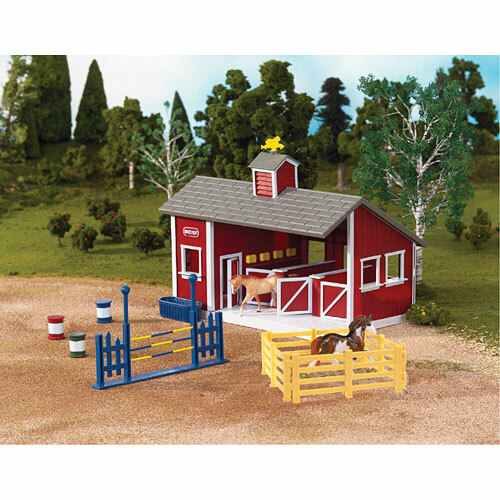 Made of durable plastic, this three-stall barn features a storage area and comes with four corral fences, a jump, water trough and three racing barrels. 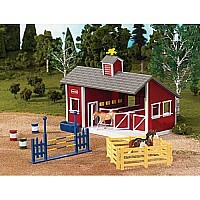 Two Stablemates horses also included. A Parent's Choice Awards Winner and perennial best seller!